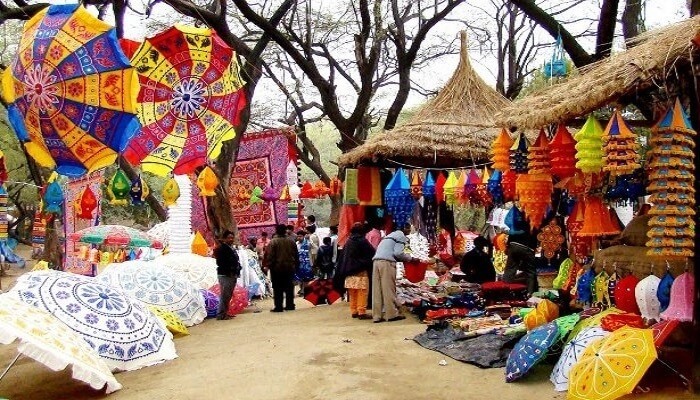 33rd Surajkund Crafts Fair (Mela) is one of the most famous fairs, organized every year in Surajkund, Faridabad, Near Delhi, by Haryana Tourism Department to promote handicrafts items. Many talented artists come from India and across the World to showcase their handlooms, handicrafts, traditional handicraft items of their respective states. Timings : 9.30am to 7.00pm every day from 1st-15th, Feb 2019.